Yes, the email came through yesterday, I just wanted to come to a conclusion about the Plex method before moving to that. I’ll give that a try later today. I actually really like the Plex interface. I haven’t used it much, obviously, but I’m conflicted about whether I’d be happier with it in the long run. The recordings are bloated in size over the HEVC media I otherwise use on the server, but I don’t keep any of the OTA recordings anyway, so that’s not a huge deal. I’m sure I’ll discover other pros/cons as I test more, so far now I’m proceeding as though I want to figure out how to make the Tablo work, so at least I have the option of choosing in the end. Also if you choose to go the Plex\Hauppauge way, the PCIE card will be more performant and responsive than the USB tuner. Absolutely. I need the 4 tuners. I need to figure up the numbers in my head, but that card would only be an extra $20 after exchange of the USB. Plex would mean I definitely wouldn’t need this new almost $200 router. I could sell the Tablo for something, with bonus points if I could sell the subscription. If so, I could probably get enough money from all this stuff to fund the upgraded server. From what I read at this forum - several people having asked about transferring subscriptions - one asks Tablo to do so along with the device sale. Are you still going to try with the router you just got? Yes, I want to know if it fixes things with the Tablo before I make any decisions. Which Netgear router did you get? The Linksys EA8300 is a beefy router so I’d be surprised if changing the router worked. I looked up the EA8300 unfortunately it has a Qualcomm CPU so it can’t run DD-WRT. Maybe it’s not in the robustness of the router that the problem occurs. It may be in the way packets are being handled. This occurs not after a lot of throughput but within the first few minutes (and then much later). So it may be in the router’s packet routing process that screws up the receiving device. The Nighthawk AC2300. Similar in total throughput as the AC2200 EA8300, but divided amongst only 2 bands instead of the tri-band EA8300. If you sell your Tablo and the new user gets your subscription, if it’s grandfathered in (is it? ), the new user may get the side benefit of using this subscription for extra Tablos. Wonder if that would work. If it does, then the added benefit of getting your subscription is great! If you have plex pass it should remove the commercials for you. Yes, but the checkbox to enable that warns that it consumes a lot of CPU, and I’m trying to test this with an old system built from spare parts. It seems to have performed very well yesterday. We had both tuners streaming for big chunks of the day. 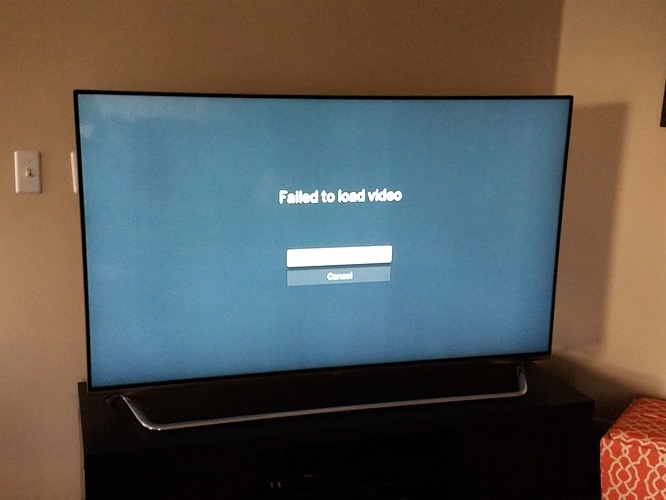 There was just one hiccup when the picture froze and I got a message from Plex stating the signal was weak and to check the antenna and/or tuner. 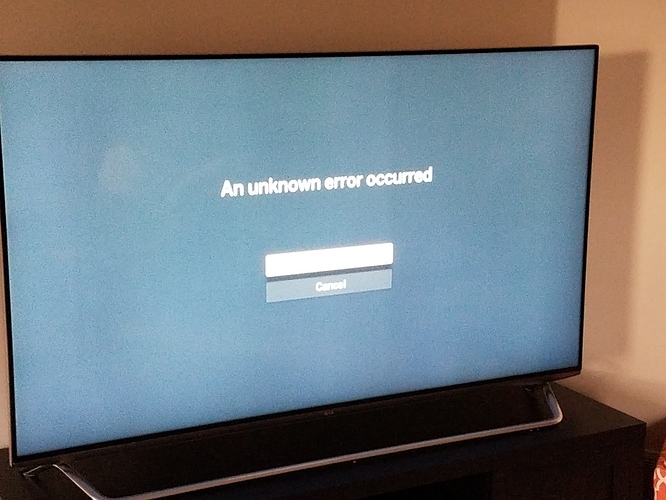 The other TV played fine through that on a different channel, and all I had to do was hit the back button and reselect the channel and it resumed without any more errors. I would give it a shot if you can. Does the Hauppauge tuner come with it’s own software to watch TV, maybe use that if you want to watch something while Plex is recording and removing commercials? This might free up that processor enough to allow commercials to be removed. I am using a 2012 Mac mini right now as a Plex server and it does a fine job. Ive even contemplated moving to Linux since I cannot update the mini any longer. Too old to take Mojave and I need it to last. WinExtend is the Hauppauge addon for viewing directly. I replaced the Apple OS (forget what it was) I had on my 2009 Mac Mini with Lubuntu (slimmed down, streamlined Linux with just the essentials - uses very little memory). It flies now at twice the speed. I also upgraded the RAM to 4 GB from 2 GB for just $16. The Mac Mini is really responsive now; the original Apple OS was really bogging it down, freezing and crashing. Lubuntu has stabilized it and sped it up using very little resource. Also get better performance from Chromium (Safari was a dawg). When I got the mini I upgraded the had to an ssd and I think the ram is 8gb versus 4gb. It runs well, but with a Linux variant it would probably run a lot smoother and better. Might even stop the uninfomative message the server is not fast enough to play this video, then I switch to play original quality and the file plays fine on Apple TV. Then again, I should just use Infuse an the Apple TV because infuse plays everything you throw at it! I’m really not concerned about cutting the commercials right now. If I decide I need to go the Plex route, I’ll need a new system for it anyway because I would need the 4-tuner card, and I don’t think the mobo has a PCIe slot. Even if it does, I don’t want to just get by with limitations… I would want it to be able to handle all 4 tuners at once, in case that situation ever arose, while also being able to stream my regular media collection and run uTorrent 24/7. I also fairly routinely do audio editing/mixing of large 24-bit, 48 kHz files, which I wouldn’t want to attempt on this system if I were also counting on it to record even one thing flawlessly. I haven’t decided yet if I’m going to try the Tablo with the new router tonight, or try the Hauppauge tuner over the network, or try the Hauppauge tuner through a temporary installation of Plex on my more powerful work laptop. I had planned to knock one of those trials out yesterday, but the wife was enjoying the near-perfect function of Plex and I didn’t dare interrupt that. There were split-second instances of pixelation perhaps a couple times an hour, but the server was also recording something most of the day, and it was running uTorrent. Saturday’s even more perfect performance was with uTorrent not running. I’m hoping these blips are different than whatever the Tablo is choking on. The pixelation may come from external factors. The air force flies over my house and I get pixelation from their heavy choppers above. Also since I’m in a valley below street level, large trucks on the road may reflect a stray signal and cause pixelation.